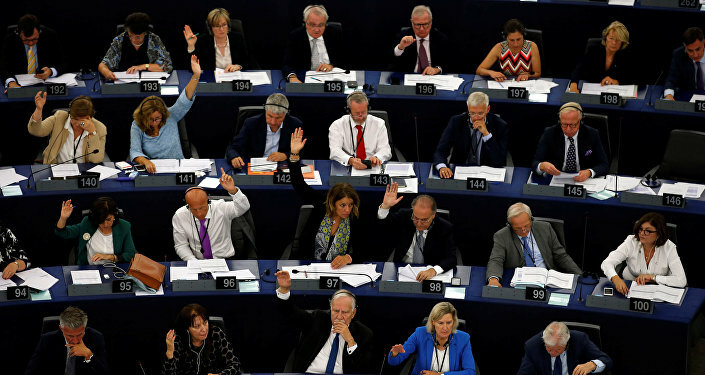 The European Parliament has adopted a motion triggering a punitive procedure against Hungary; over 400 MEPs voted in favor of it. 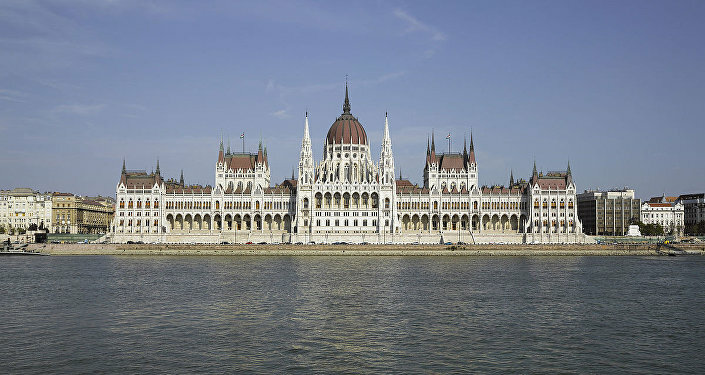 The procedure could result in Hungary being deprived of its voting rights in the Council of the European Union. Sputnik discussed the EU decision to punish Hungary with Gabor Gyori, a senior analyst at Policy Solutions, a Hungarian think tank. Sputnik: What do you make of the decision to punish Hungary? What is the likelihood that this punishment will amount to anything? Gabor Gyori: This is obviously a multistep process, and I think what leader of the European People's Party (EPP), of which the Hungarian governing party — Fidesz — is also a member, Manfred Weber, said is that this is a process. He called himself a bridge builder and he said he will make repeated attempts in the course of this process to communicate with the Hungarian government and try to sort out the issues that are at controversy here. So I can't assess the likelihood of where things are headed. 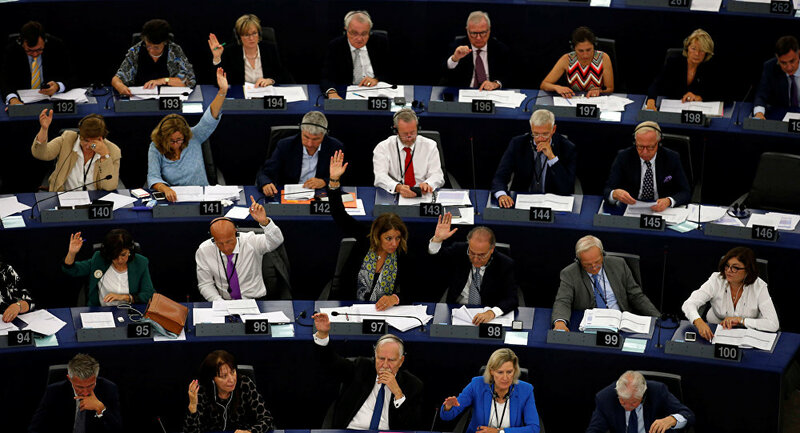 This is a fairly novel phenomenon, the European Parliament has not taken this step thus far, so I don't know where the process will go from here, but I think it is definitely a substantial decision, it is a major decision in the history of the European Union. Sputnik: Even if for some reason this were to go forward, although it's extremely unprecedented and there are a lot of reasons to think that it wouldn't go forward, do you think it would have the desired effect, would it change the way that Orban would conduct business or any of his policies? Gabor Gyori: That is, again, very difficult to predict. One of the characteristics of Hungarian politics is that unlike in normal, functioning democracies where decisions are made through the deliberation of the leading persons, the way the Hungarian political system works is it is essentially all up to the decision of one man. He will make up his mind, and it will not be a transparent process. There will not be a policy discussion on how Hungary should react, but Orban will probably talk to a few advisors and then he'll make up his mind and then the decision will be either announced or it will be implemented without even an announcement. But the decision will be in the mind of one man, it's up to him, and it's always difficult to predict what he'll do. He likes also to cultivate an aura of unpredictability, so this is part of his political image that decisions cannot be anticipated, but we know that there are roughly two ways ahead. He has chosen either one; (based on his) history, we don't know which one he'll choose. Now one option is to relent, to compromise, to take a step back and then to sit down and make some concessions which will probably be minor concessions, usually he doesn't need major concessions, but he might make symbolic concessions to appease the majority in the European Parliament or at least a portion of this majority. The other option is that he will decide that now is the time to break with the European People's Party, now is the time to break with the mainstream conservatives in the European Parliament and to align himself more closely with the far right parties which find his policies more sympathetic anyway, and which Fidesz usually also prefers in most of its communication. Gabor Gyori: Yes, exactly, there's a strong alliance between Hungary and Poland on this issue, there is a kind of protective umbrella that they hold over each other. At this point, it may not only be Poland; it could also be other countries, it may easily be the Czech Republic, you could also see it in the EP vote that there are several countries that are potentially sympathetic to the Hungarian government in this situation, but going forward it's very difficult to predict what shape it will take. Two things should be kept in mind: the potentially worst punishment here — taking away Hungary's voting right, is only one of the actions that European bodies could take, there would also be other potential countermeasures which not do not necessarily require unanimity. Sputnik: And what kind countermeasures could those be? Gabor Gyori: There is constant talk in the European Union about making subsidies, EU subsidies, contingent on democratic standards, or one of the major problems in Hungary is the suspicion that a lot of the EU subsidies are being diverted into private hands closely affiliated with the government, so specifically corruption is a major issue. So the distribution of EU subsidies could be made contingent on stricter policies against corruption, which is not directly related to this issue, but it reflects on part of this issue, so there is a variety of policies that could be implemented which are possible even if Poland happens to disagree. The views and opinions expressed by Gabor Gyori are those of the speaker and do not necessarily reflect those of Sputnik.